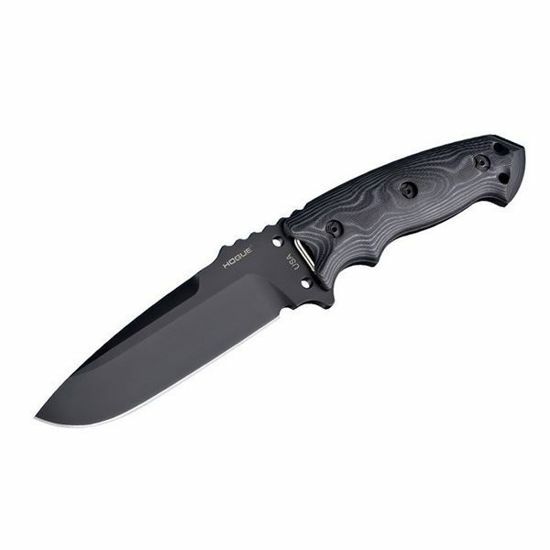 The Hogue EX-F01 5 1/2"Extreme Series Fixed Blade Tactical Knives are world-class cutting tools designed by renowned custom knife maker Allen Elishewitz. The EX-F01 knives feature an Elishwitz designed drop point blade, mirror polished convex cutting edge and quarter inch thick A2 Tool Steel construction. The Hogue EX-F01 Series of knives also make use of a full tang design that is incredibly tough and creates a storage space within the handle via removable handle scales. A torx tool is included to remove the handle scales allowing access to storage area.